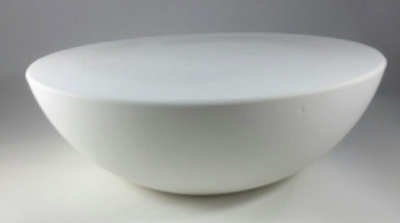 Large round drape mold is an excellent starting point for making a variety of pottery bowls: serving bowls, fruit bowls, decorative bowls. Plus you can combine 2 sides to make vases and containers. 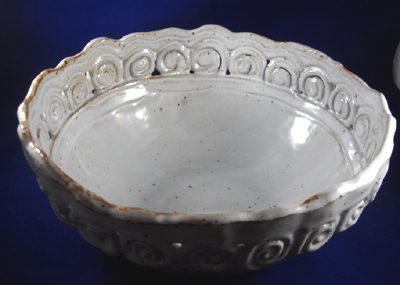 Add handles and textures to make beautiful pottery bowls in your favorite clay body! 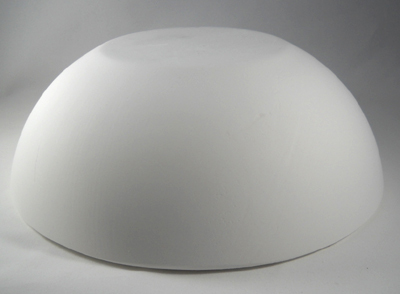 This plaster mold's dimensions are: 8.25" diameter x 3" height. All our hump molds are made of pottery plaster and are designed to be used with clay, including earthenware, stoneware, and porcelain. Sizes of molds are in inches; Prices are in US Dollars. Cost of shipping is based on packaged weight. This mold weighs 5 pounds.